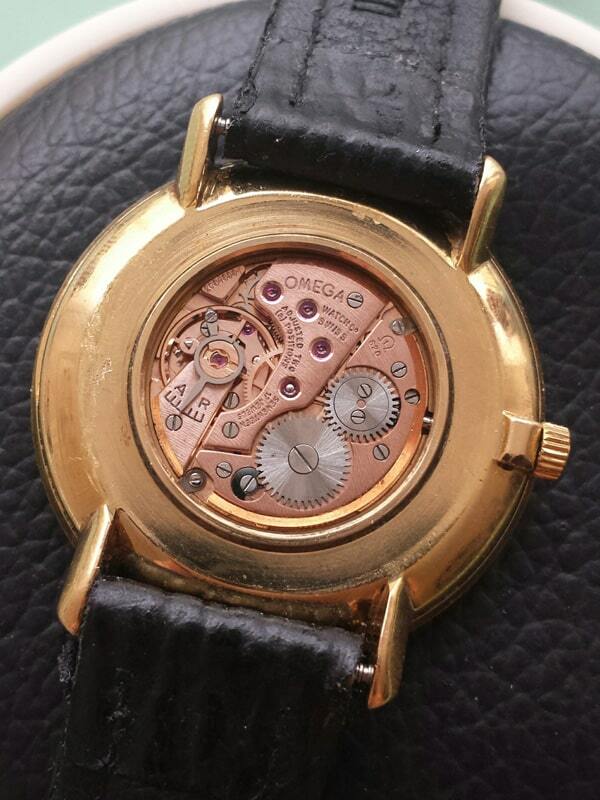 I got this Omega De Ville watch in a batch to look at. It didn’t run and it was impossible to wind it or set the time. The diameter of the watch is 33 mm without the crown. 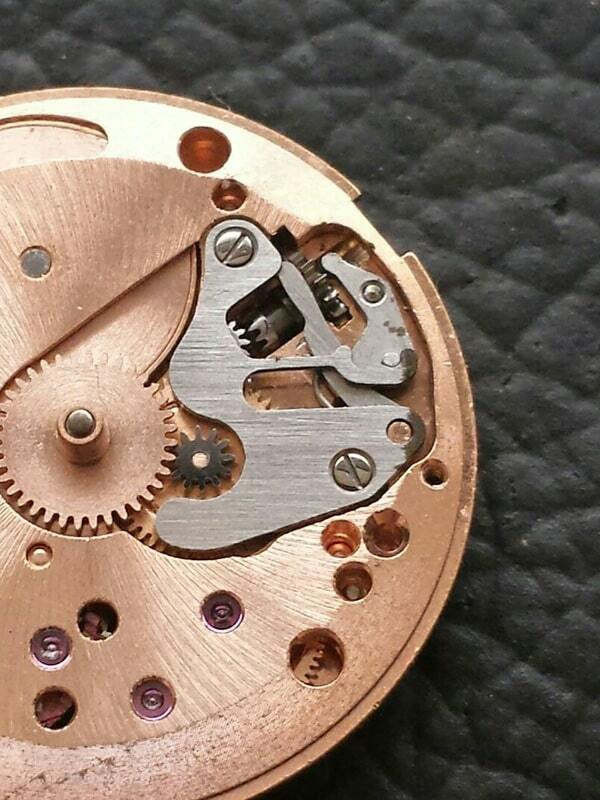 The movement is the 620 cal with 20848991 as the serial number which dates it to 1963. The Vintage Omega Database has this model recorded as 111.0077 as part of the 1962 international collection. If you’d like to know how to authenticate and date your Omega watch, click here. This Omega De Ville is a front loader. That means that the movement with the dial and hands need to be lifted from the front. In order to do that, I first have to remove the case back. Then I remove the case clamps and screws and I loosen the set lever screw to pull the stem and crown. In order to be able to lift the movement with dial and hands from the front, I removed the bezel and crystal. Similar to the case back there is a notch in the bezel where you can insert a case knife to carefully twist the bezel off. Then I remove the hands. To do this I use a sheet of plastic to cover the hands and dial and then I lift the hands with 2 levers. The plastic sheet protects the dial from dents or scratches. After that, I removed the movement with the dial. When I remove the dial it’s immediately clear what the problem is. The return bar or clutch lever has slipped out of the clutch. When this happens, the clutch doesn’t make contact with the winding pinion so you can’t wind the watch. Also, it doesn’t push the clutch towards the setting wheel or intermediate wheel when you pull the crown. This could happen because the set lever bridge screws weren’t fully screwed down. After I connected the return bar with the clutch again, I was able to tighten the set lever bridge by fully screwing its screws home. When I tested the movement it started to tick right away so I decided to assemble the watch again. Same procedure but then in reverse. While I was at it I immediately fitted a new crystal as well. till which year this watch was produced ? Hi, I don’t know till which year this watch was produced. It’s genuine though, there’s no reason to assume otherwise. Everything is just as it should be with a vintage Omega. They must have produced it for several years. Also, keep in mind that the Vintage Omega Database is known to contain more than a few mistakes. They even miss complete refs and movements. 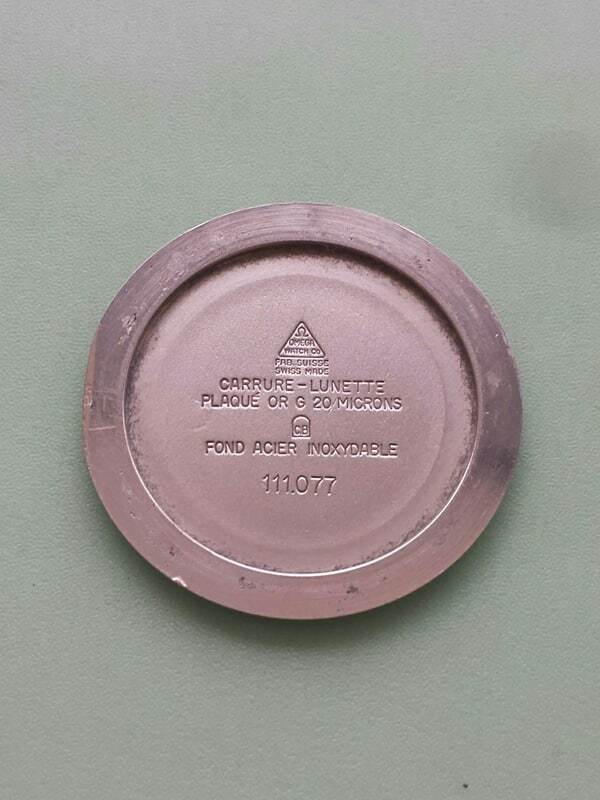 The Omega part number for the crystal is PN1005. It’s a regular acrylic crystal. Sorry but I don’t know the size. You’ll have to measure it yourself or bring it to an independent watchmaker.